ME: CAN YOU CHANGE THE BABY? HIM: I CHANGE THE BABY ALL THE - ProudMummy.com the Web's Community for Mums. ME: CAN YOU CHANGE THE BABY? 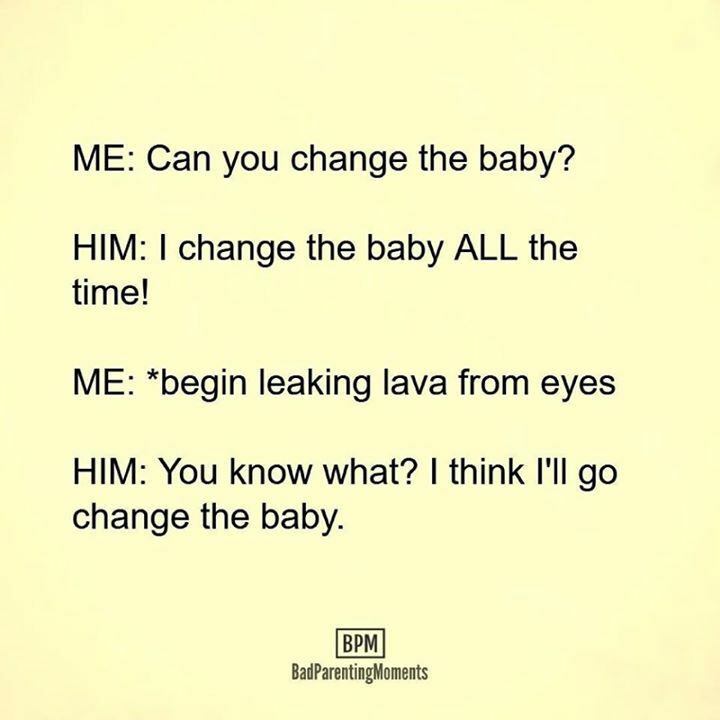 HIM: I CHANGE THE BABY ALL THE TIME! ME: *BEGIN LEAKING LAVA FROM EYES HIM: YOU KNOW WHAT? I THINK I'LL GO CHANGE THE BABY.